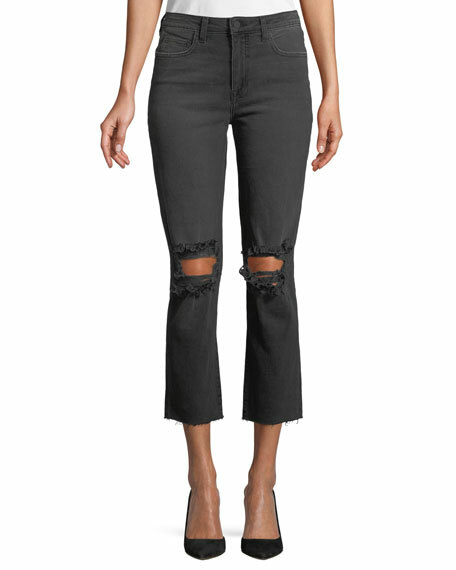 L'Agence "Audrina" jeans in stretch-denim with distressing at knees. Approx. 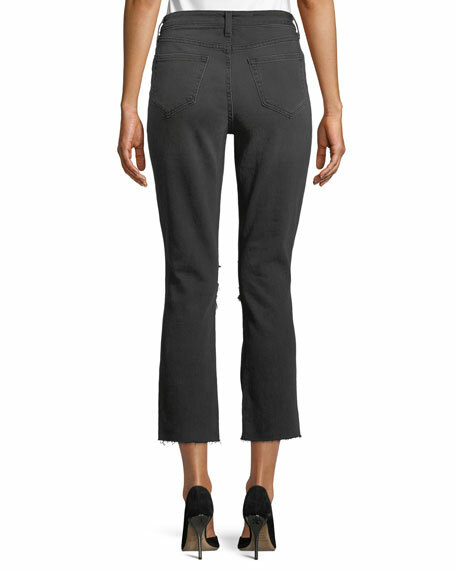 measurements: 9.8" rise; 26" inseam; 12.8" leg opening. L'AGENCE was created by Margaret Maldonado and launched in 2008. The concept was simple: washed silks and Japanese and Italian fabrics. A firm believer in elements of enduring stylefabric and its hand, combined with great fitL'AGENCE sets out to create styles that remain in a woman's wardrobe year after year. Each season is meant to complement the next, a progression and fresh interpretation of classic styles, rather than a reflection of current trends. For in-store inquiries, use sku #2540526.